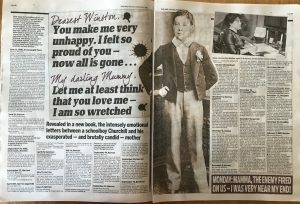 Extracts from early letters between Winston Churchill and his American mother Jennie Jerome have been serialised in Britain’s leading Daily Mail newspaper. 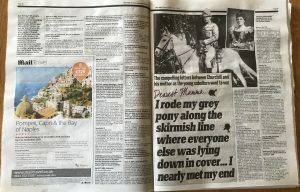 Two double-page spreads appeared on Saturday 8 and Monday 10 September, highlighting letters from Churchill’s school days and early experiences in battle as a young army officer. A full selection of the more than one thousand letters that Churchill and his mother exchanged over a forty year period, edited by David Lough, is to be published in the UK on 20 September by Head of Zeus as Darling Winston and in the US on 2 October by Pegasus Books as My Darling Winston.